NATIONAL DIRECTOR, HOLY CROSS FAMILY MINISTRIES OF CANADA. 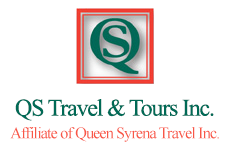 Sep 16 Depart Toronto to Lisbon. Sep 17 Arrival in Lisbon. Panoramic tour of Lisbon, including visit to Santo António Church. According to tradition, the church was built on the site where Saint Anthony of Padua was born in 1195. We also visit Lisbon Cathedral, better known as Sé de Lisboa, the oldest and most important church in the city. Transfer to our hotel in Fatima. Time for rest, dinner, procession with candles and overnight. Sep 18 Full day in Fatima, famous for the apparitions of our Lady of the Rosary to three shepherd children:Lucia dos Santos and her two cousins. After morning Mass we are going to visit the Apparition Chapel, the Basilica that contains the tombs of St. Francisco, St. Jacinta and sister Lucia. Later we visit the village of Aljustrel and the houses where children used to live. We stop in Valinhos, where Our Lady appeared on August 19, 1917. We also stop at the places where the Angel of Peace appeared to the little shepherds in 1916, to prepare them for the future apparitions of the Virgin Mary. Some free time in the afternoon for individual activities and prayers. After dinner, procession with candles. 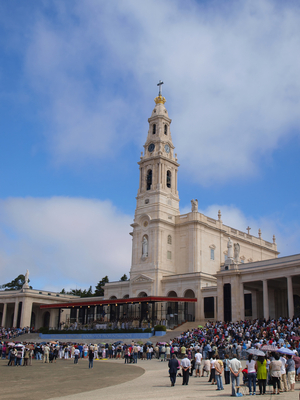 Overnight in Fatima. Sep 19 In the morning we leave Fatima and travel to Coimbra, the medieval capital of Portugal for over a hundred years. We stop at the Carmelite convent of Santa Teresa where Sister Lucia dos Santos lived from 1948 until her death on February 05, 2005. Continue to Braga one of the oldest Christian cities in the world, nicknamed the “Portuguese Rome”. We visit the Sanctuary of Bom Jesus do Monte famous for a monumental staircase built of granite and interconnected by a series of chapels showing the XIV Stations of the Cross. Mass. In the evening we cross to Spain. Dinner and overnight in Santiago de Compostela. 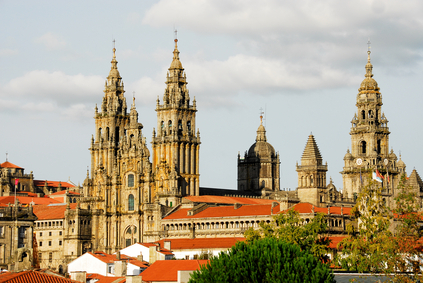 Sep 20 Full day in Santiago de Compostela. In the morning walking tour, including visit to the Shrine of St. James, where the remains of Saint James, one of the apostles of Jesus Christ, are buried. Santiago de Compostela is known as the culmination of the Camino de Santiago pilgrimage route popular since the Middle Ages. Private mass. Dinner and overnight in Santiago de Compostela. Sep 21 Today we travel to Burgos, the historic capital of the Castile Kingdom for almost five hundred years. We visit Cathedral dedicated to Virgin Mary and we celebrate mass. Burgos Cathedral is a masterpiece of Spanish gothic architecture, declared World Heritage by UNESCO. Mass. Dinner and overnight in Burgos. Sep 22 After breakfast depart for Lourdes (France). 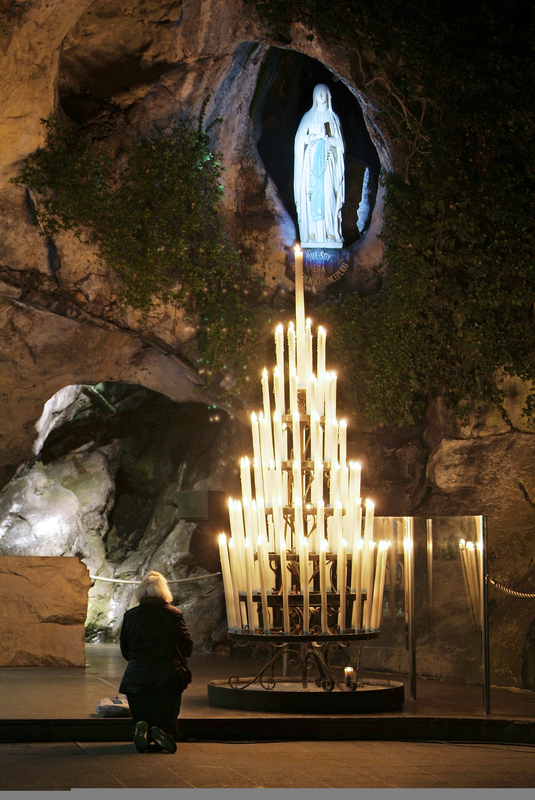 Guided walking tour includes visits to the Grotto where Virgin Mary appeared to St. Bernadette in 1858. 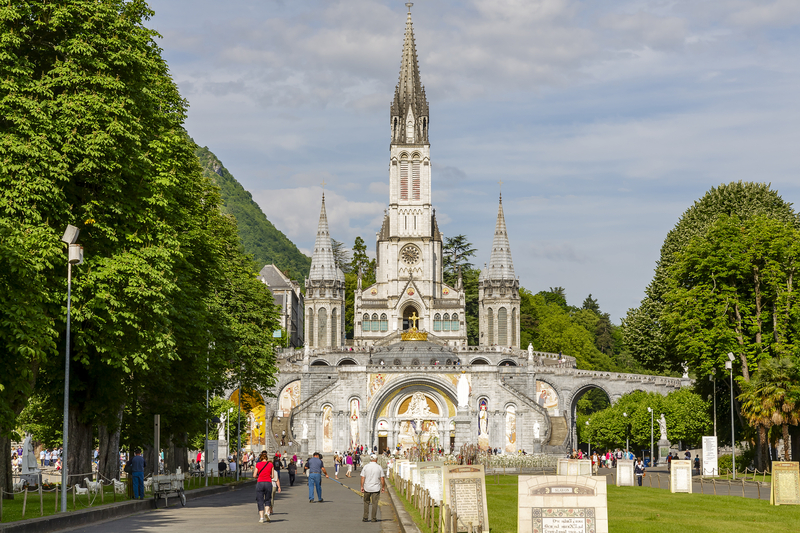 Visit to the Shrine of Our Lady of Lourdes. Join memorable Rosary and candlelight procession. Dinner and overnight in Lourdes. Sep 23 Full day in Lourdes. After breakfast we start the day attending mass in one of the chapels in the Basilica. 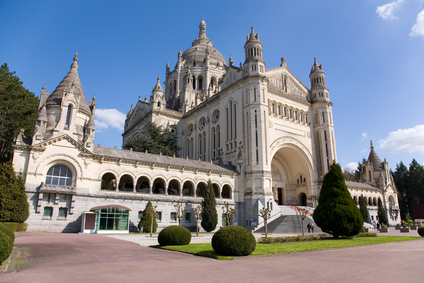 Next we visit the Grotto de Massabielle where the Virgin Mary appeared to St. Bernadette in 1858. 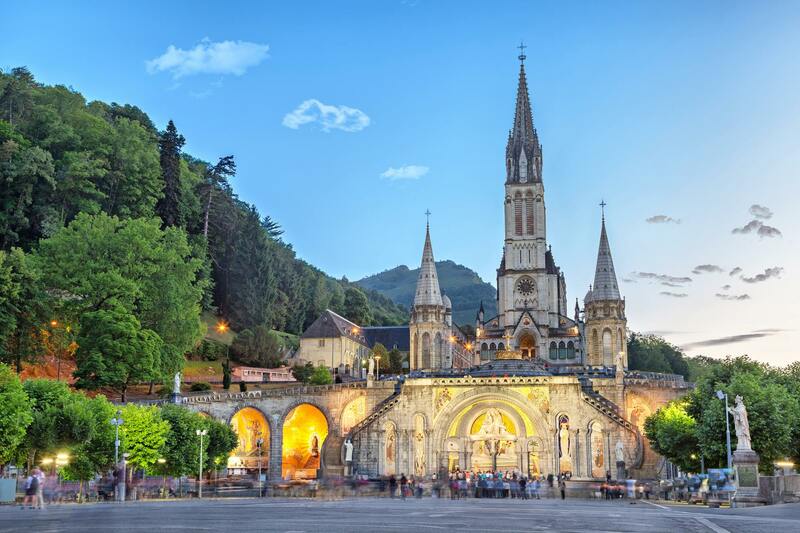 Your walking tour includes two Basilicas, St. Bernadette’s birthplace and the “Cachot” where Bernadette lived with her family in great poverty at the time of apparitions. Balance of the day is at leisure. You may wish to bathe in the healing waters or attend the “Blessing of the Sick”. Free time in the afternoon. After dinner candlelight procession. Overnight in Lourdes. Sep 24 After breakfast and morning mass we travel form Lourdes to Barcelona. Upon arrival some free time for shopping. Dinner and overnight in Barcelona. Sep 25 Full day in Barcelona features the Columbus Monument, elegant tree lined “Ramblas”, Plaza de Catalonia, Paseo de Garcia, the church of “Sagrada Familia” and the Cathedral of Santa Eulalia. Also enjoy panoramic view of the city and harbor from Montjuic Hill. Dinner and overnight in Barcelona. Sep 26 After breakfast we travel to mystical monastery of Montserrat. 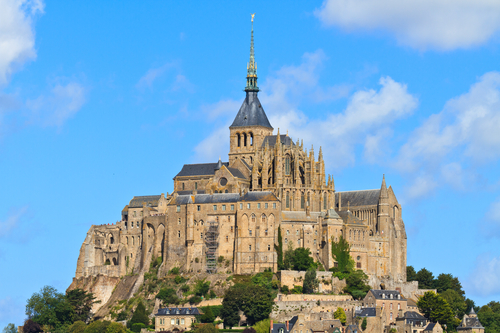 We visit the Basilica, one of Spain’s most important pilgrimage sites and admire the 12th century Romanesque carving of the La Moreneta (Black Madonna). Mass in the monastery. Continue to Zaragoza for dinner and overnight. 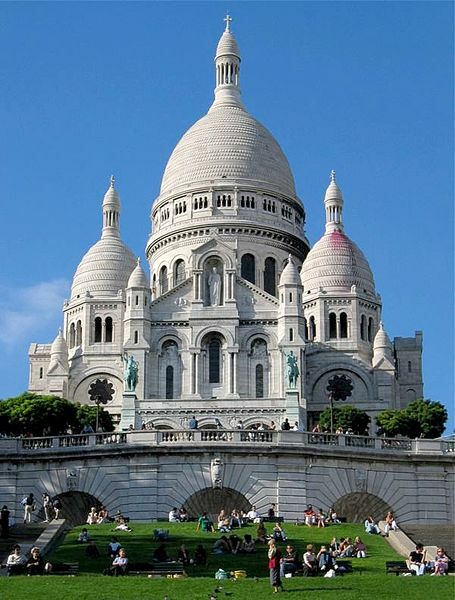 Sep 27 In the morning we visit the magnificent Basilica of Our Lady of Pilar, “Santa Maria del Pilar”. Virgin Mary appeared here to Apostle James in 40 AD. Of all the apparitions of Our Lady reported over the centuries, this is perhaps the most unique, since it is said to have happened before her Assumption into Heaven, while she was still on this earth and living in Jerusalem. Mass. Continue to Madrid for panoramic tour of the city including Plaza Espana, Puerta del Sol, Cibeles Fountain, Gran Via, and the Royal Palace. Dinner and overnight in Madrid. Sep 28 In the morning we travel to Avila. We enjoy walking tour of the town of St. Teresa and St. John of the Cross. Churches, convents, beautiful palaces and the impressive cathedral provide Avila’s character and identity, in which the spirit of Santa Theresa of Jesus and of Saint John of the Cross still vibrate. Mass. Return to Madrid. Some free time for shopping in the afternoon. Dinner and overnight in Madrid. Sep 29 Today our tour comes to an end and we travel back to Toronto.